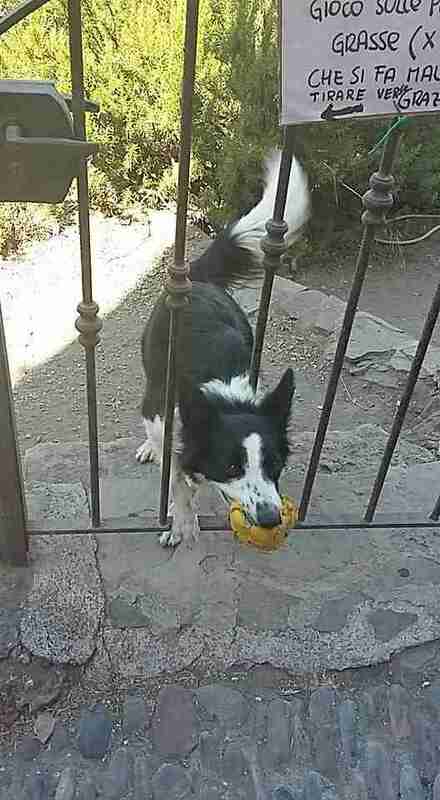 … until suddenly, a little dog appeared at the gate with a toy in his mouth, eager and ready to play. 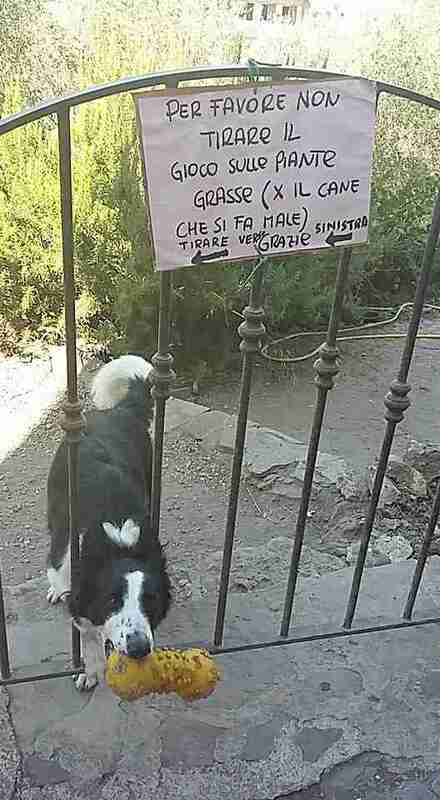 It seems the little dog asks everyone who passes by to play with him, and so his family eventually had to put up a sign to make sure the playing was always safe. 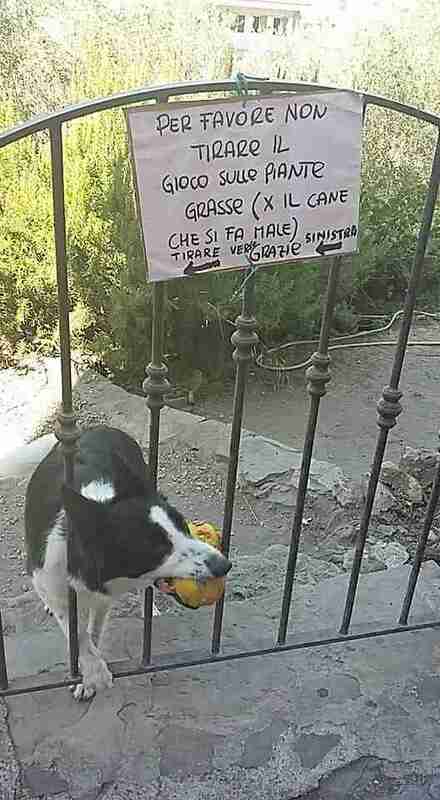 Dellabona began throwing the toy, making sure to avoid the nearby cacti, and the little dog happily fetched it each time and brought it back to her. She played with him for a solid 10 minutes before finally continuing on her way, much to the dog’s dismay. Now, every time Dellabona passes the house, she stops to play fetch with her new friend — but never for as long as he would like.